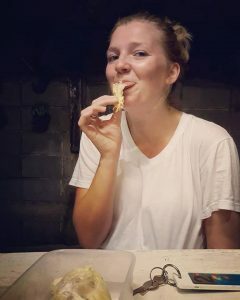 Kathy tries the famously foul-smelling durian fruit during her first week here. Now that’s what we call adventurous. 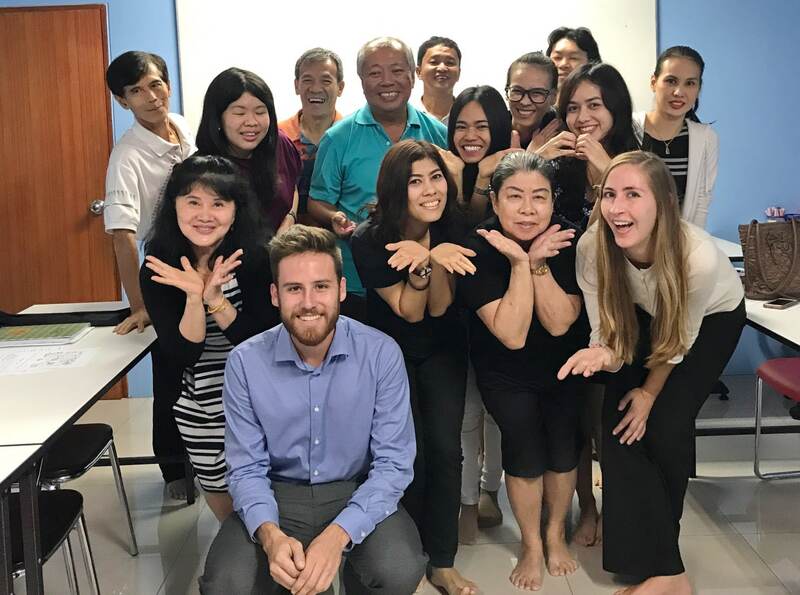 Taking a TEFL course in Thailand is something that appeals to a lot of people, but fear of the unknown stops them from achieving their dream. 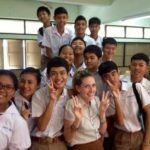 Moving to a new country to teach English abroad is a huge step and it’s not for everyone. 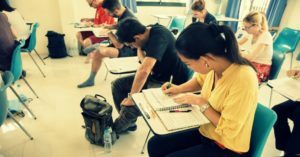 Then again, it’s also broadened the horizons for hundreds of thousands of people who had the courage to take the first step–TEFL training…real TEFL training. 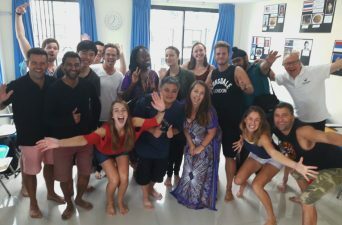 Before deciding if a TEFL course is the right step, it’s natural to want to know know more about the course, its location, who runs the training and who you’ll take the course with. Rather than bore you with details about the course from our point of view, we thought we’d have a trainee share her experiences. So then, without further ado, meet Kathy. 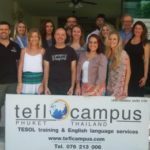 I am in the process of looking for a TEFL certification course in Thailand and I would love to hear more about your course. If possible I would also like to speak with a recent graduate of the program. We replied by putting her in contact with four recent graduates. After that, we chatted on Skype so we could answer all of her questions; Kathy enrolled on the course a few weeks later. Not Kathy’s pic, but definitely a typical view while on a landing approach for Phuket Int’l Airport. – Can you summarize your first week in three words? – What were your first impressions of Phuket when you finally arrived? 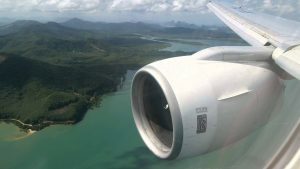 I had just spent three days experiencing sensory overload in Bangkok but seeing all the islands pop up while I flew into Phuket instantly calmed my nerves. – Was getting from the airport to your accommodation difficult? Not at all. I followed Eric’s (the course director) specific instructions on how to get a metered taxi and I hopped in my taxi. The driver wasn’t sure how to get to my accommodation so I phoned the owner, when he didn’t answer I didn’t panic because I had a list of contacts to call just in case. My next call was to Eric who was able to give my driver directions. – Were you happy with your accommodation? I honestly was. As soon as I pulled up the owner ran up to greet me and help me. He showed me to my room and told me everybody would be going to the beach that Friday and asked if I wanted to come along! My room was clean and comfortable, very basic, but that’s all I needed. 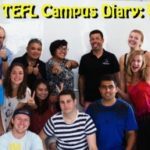 – What did you see and do before the TEFL course started? 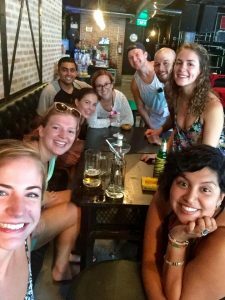 When I got to Phuket I wandered the streets near my house, found the local park, sunbathed at Karon beach, and went to some of the bars Eric had recommended with my new classmates. TEFL Campus holds a welcome meal on the first night of every course. Great food, good times and it’s all free. – How did the first day go? The first day went well. I was excited to jump right in and start learning. It was an immense amount of information, but I already knew the course wasn’t a walk in the park. 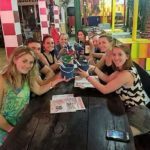 We were told we would be “earning” not “given” a TEFL certificate. – What do you think of your classmates? They’re great. I had already met many of them the days before the course started. We drank a few beers, tried a bunch of new foods, and got to know each other better. I felt an instant community between us—we are all people who want to have a good time together but who will also support and cheer on one another as the course continues. 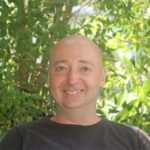 – What did you learn from watching experienced TEFL teachers in the classroom? 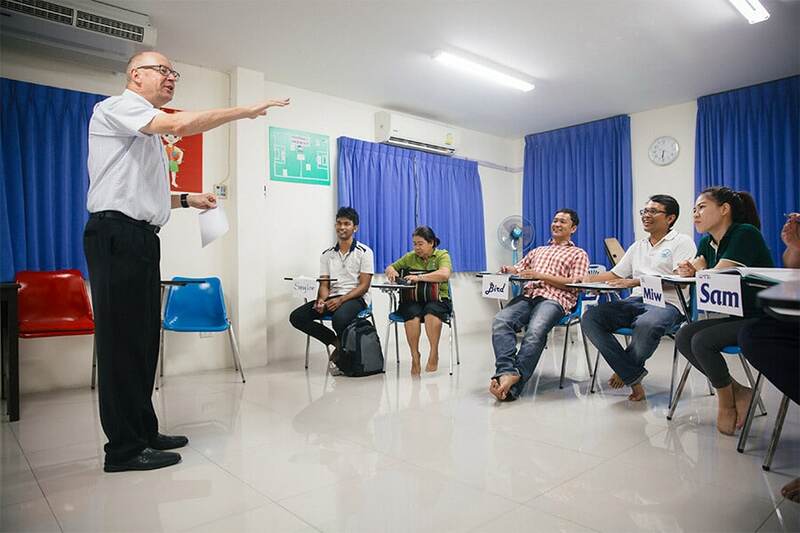 I learned that you can have a really fun time teaching adults, especially Thai adults. That you have to be prepared to laugh at yourself. Plan well and accordingly but don’t take yourself too seriously while teaching. 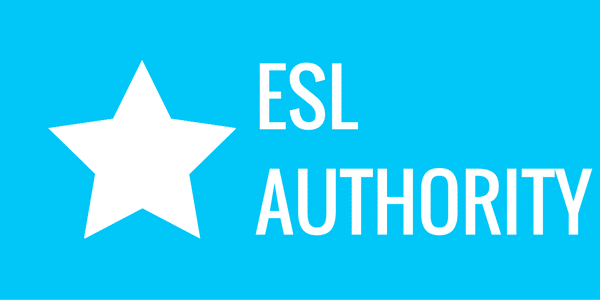 And most importantly, I learned the ESA (Engage, Study, Activate) method is a very effective way to teach ESL if done correctly. – How did your first observed teaching practice go? Even with my previous teaching experience I was incredibly nervous. 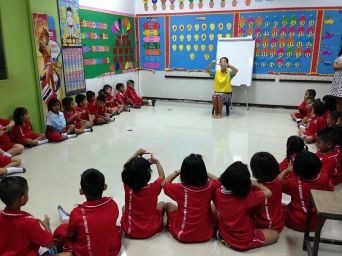 I had never taught a classroom full of adults and I had very limited ESL teaching experience. My teaching topic was “body parts”; Simon (my trainer) walked me through my lesson and helped build my confidence. I planned out my lesson and when the time came to turn in my plan and materials I felt ready. Before I knew it my students were walking into class. When it was over, I felt okay with what I did but I knew everything I had messed up on. At the end Simon called my fellow trainee and myself out onto the balcony to discuss our lessons. Still nervously waiting to be told what I did wrong, Simon told me all the things I did well. And I thought, “Oh, yeah, I did do a good job with that!” He told me specifically what I needed to work on for my next lesson and told me overall to be very happy with my first lesson. I left feeling confident of my teaching abilities, and aware of what I needed to fix. Trainees attend our general orientation session before we get into the heavy stuff. – What are your impressions of the lectures so far? Obviously some I like more than others. Sometimes I start to daydream about how lovely it would be to go to the beach that day, and then I hear my name called and I snap back to attention. They are dense with valuable information and interactive which really helps solidify things in my brain. They are filled with laughter and questions which keeps me focused and energized. – What surprised you most during the first week? That I would be teaching my very first lesson on the third day. – What’s your best advice for pre-arrival preparations? 1) Follow the very specific directions that Eric gives you. 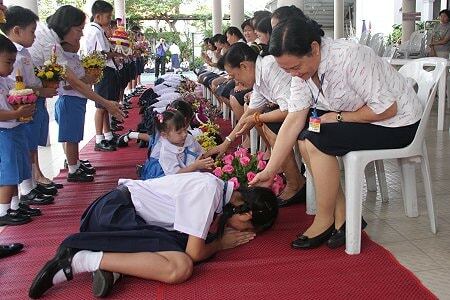 2) Learn a little Thai, being able to say “hello” and “thank you” goes a long way. 4) Bring light and comfortable clothes, it’s very casual here. Kathy and her fellow trainees sitting down for a bite to eat and a few well-earned drinks. 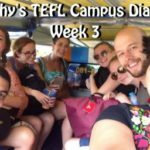 – What’s your best advice for the first week of the TEFL course? 1) Meet your classmates before the first day. 2) Bring a notebook and pencil. Be ready to learn. 3) Drink a delicious iced coffee every morning. 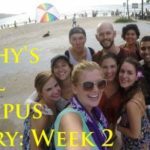 Read about Kathy’s 2nd week here. 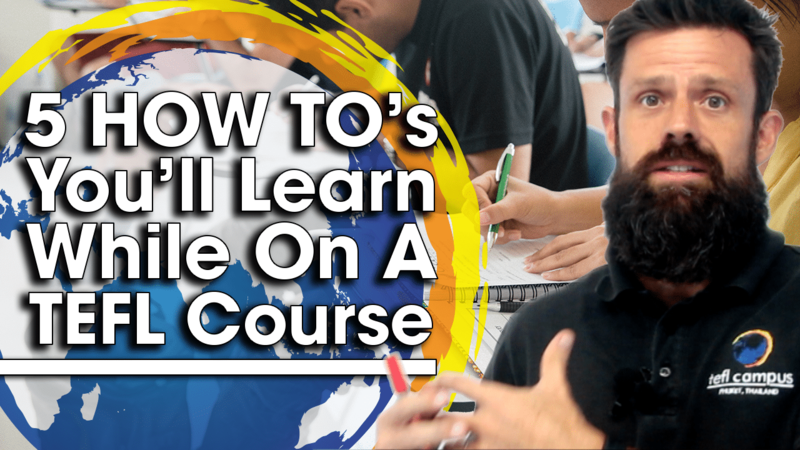 Apply now and receive US$ 50 off course fees when you mention this blog entry.